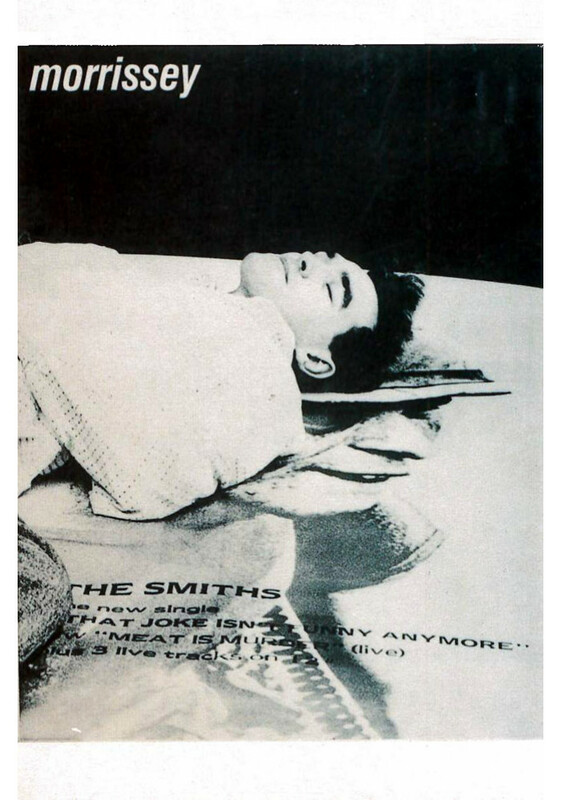 The Smiths postcard featuring Morrissey laying down over 'That Joke isn't Funny Anymore' Large poster. Printed in England by 'Savage Postcards London'. Ref. on the back: Morrissey: Meat is Murder, Savage Postcards 1988. Release date: 1985, JulyThe Smihs Original Promo Poster from the single "That Joke Isn't Funny Anymore" distributed by The Cartel, included in LP "Meat Is Murder". Size: 12"x24". ..